October 12th 2014 Lighting seminar! 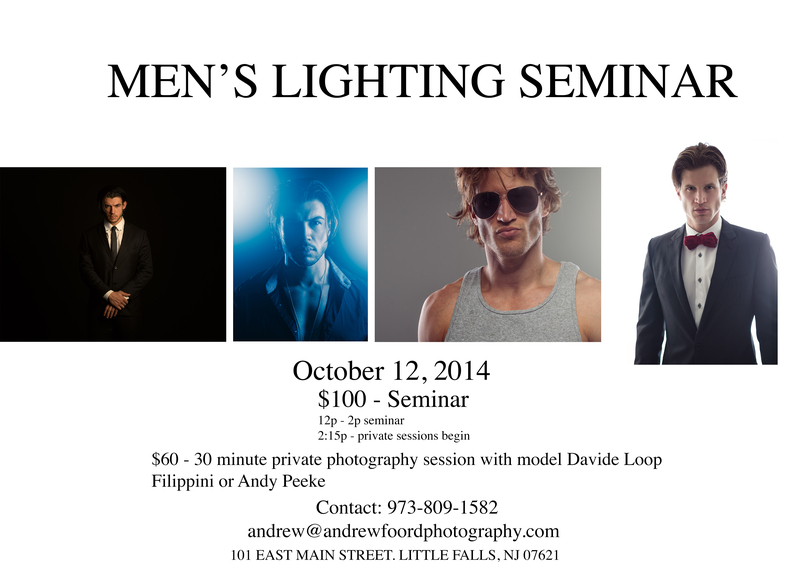 I will be holding a lighting seminar in Little Falls, NJ on October 12th, 2014! Limited seats available! Bring your camera, you WILL be shooting!!! Models Davide Loop Filippini and Andy Peeke will be available immediately after the seminar for private photo sessions! Lighting Seminar October 12th, 2014!